Which is the most beautifulllest face on Indian silver screen? There is only one answer; Madhuri Dixit. The charming beauty of Bollywood. She is often cited as one of the best actresses in Bollywood. Dixit made her film debut in Abodh (1984) and received wider public recognition with Tezaab (1988). She went on to establish herself as one of Hindi cinema's leading actresses, acknowledged for several of her performances, her beauty, and her accomplished dancing. Yes, she is an amazing dancer. Controversial hits like Choli ke peeche, classy hits like Dola Re and romantic hits like Dhak Dhak Karne laga are making his film career a rare one. Here we have selected top 5 all time hit songs of Madhuri Dixit. The innocent, gorgeous and hot faces of this wonderful lady can be traced out from these songs. 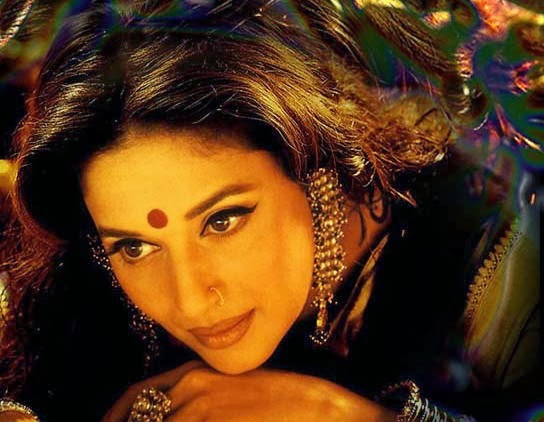 Watch online Madhuri Dixit hit songs in HD quality..